Coulomb's law stating that the electric field decreases proportionally to the square of the distance (E ~ 1/r²) is equal in meaning to a length contraction dependent on the field. Based on this, the mass defect of an atomic nucleus is determined mathematically accurately. Furthermore, the model of potential vortices yields accurate values for the diameters and shapes of nuclei, which are always compared to the known quantum properties. The riddle of the halo nuclei is solved on the way. The strong interaction is simply a magnetic attraction of the nucleons. The atomic shell kept together by the electric field forces is calculated afterwards. Even this is based upon the dependency of the radius values on the field. An equation is derived with which the atomic radii of all known elements and partially even their ions may be calculated. 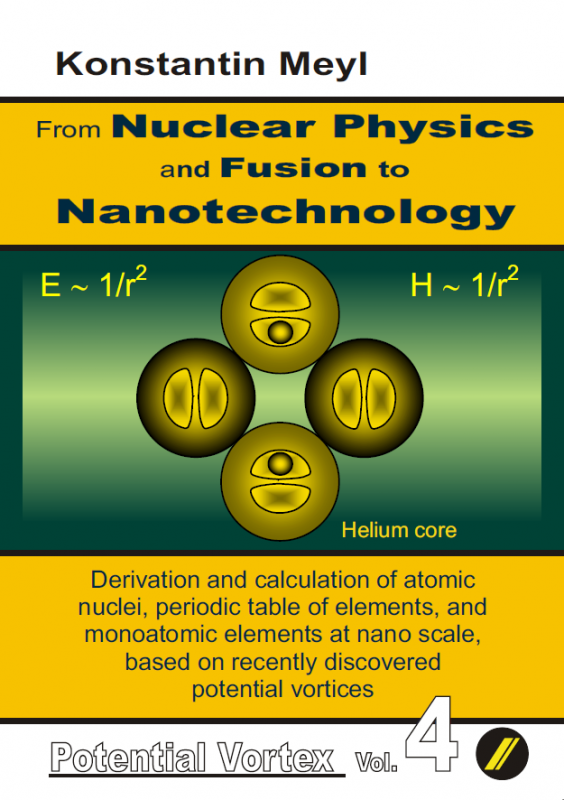 The correlation to known measurement values was successful, across the domain from Helium to farther than plutonium, with a precision never seen before, which gives reason for the validity of the model. 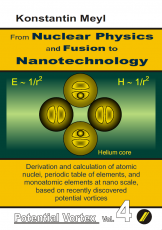 Thoughts on monatomic structure as a prerequisite for the application of cold fusion and nanotechnology constitute the end of the book. Communication of cells explained by field physics including magnetic scalar waves.